Well what do you do? We have always done something for our anniversary, we have favourite countries, cities and towns that we have always gone back to; not this year though, we wanted to do something different. 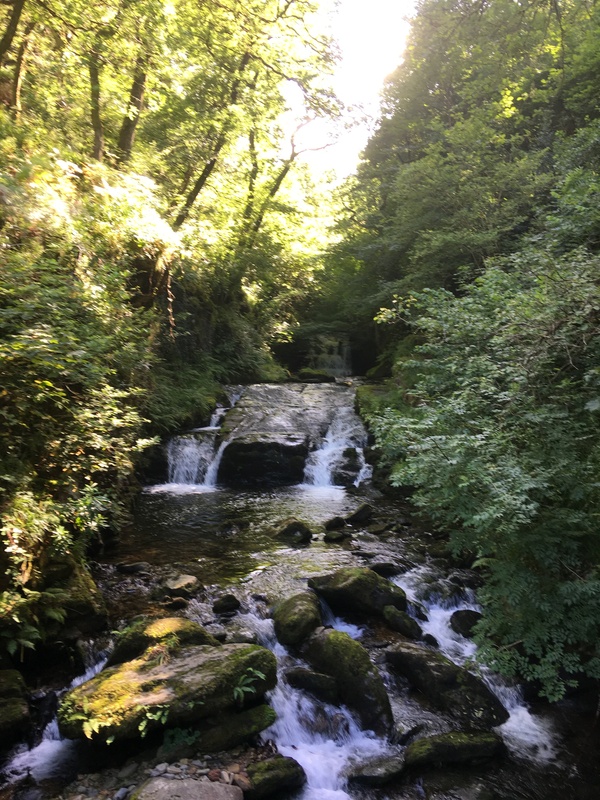 Having been to North Devon a few times on holidays with the children, we had never been north east of Croyde Bay in to North Somerset and Exmoor. It just so happened that I received and email from “Secret Escapes” and there it was 2 nights BB with a bottle of wine and a cream tea thrown in (it was the cream tea that swung it) staying at the Exmoor White Horse Inn in Exford, bang smack in the middle of Exmoor, an ideal spot for getting everywhere on the moors. The first night there we booked a table in the restaurant, the choice of starters, mains and desserts was good. With such a choice of meat and fish we opted for the Venison in red onion and juniper sauce with fresh veg and new potatoes, all sourced locally, and it was delicious. Following a fairly goods night sleep we woke to mist and rain. Export is in a valley and the clouds came in over night and settled with us. Sounds like a typical holiday. Breakfast beckoned and a full English was on offer, as well as kipper and smoked haddock.. Let’s say over the weekend I had full English and Smoked Haddock. 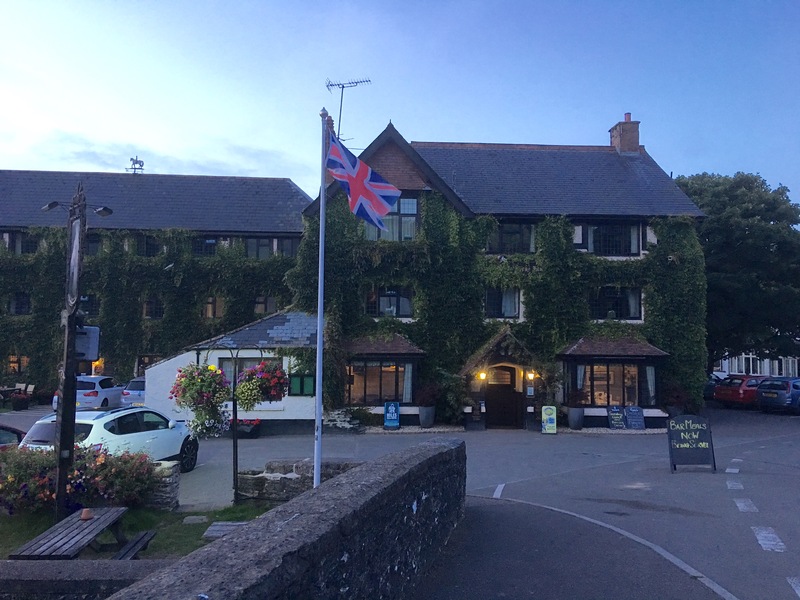 The hotel provided a number of routes for touring around Exmoor by car and on foot, so we decided to take the car. The route took us up to Dunster, through windy roads, up and down hills and country lanes and picturesque small villages. By the time we arrived at Dunster the weather had lifted and the sun was shining. We walked up and down Dunster Main Street, full of tea shops and tourist shops, just about something for everyone. 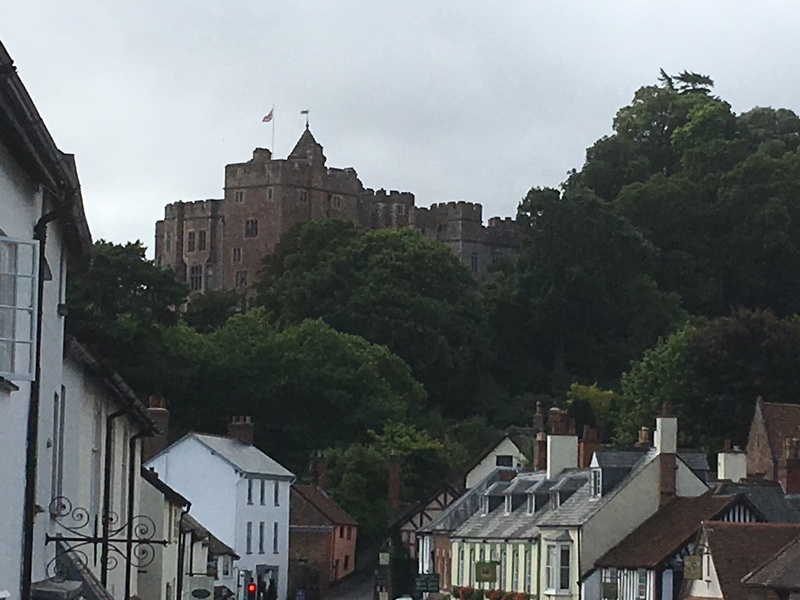 Up on the hill was Dunster Castle and from the drums and bangs heard they were obviously reenacting history, we didn’t have time to view, as we had a lot of driving to do and a cream tea waiting back at the hotel. From Dunster we proceeded west towards Porlock Weir over looking the Bristol Channel. Once again the route took in many villages and winding roads. 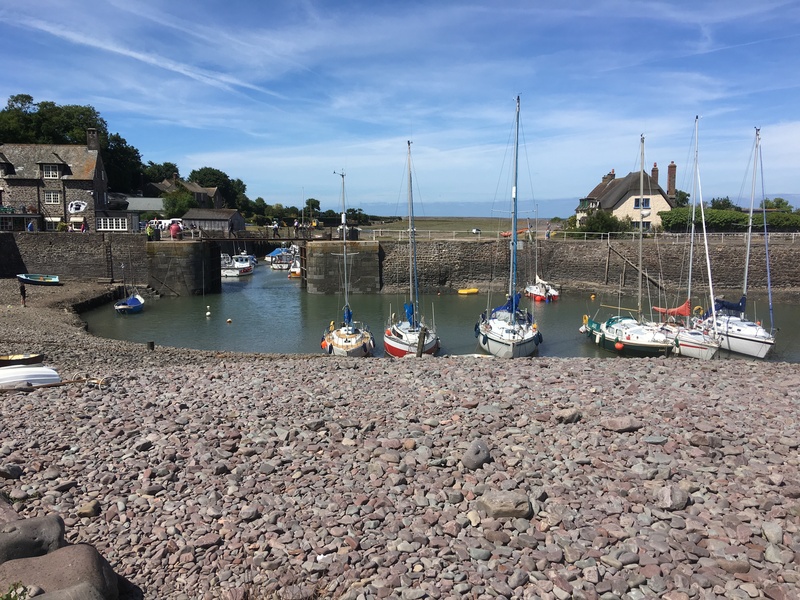 Porlock itself is in land and is a small market town, but about two miles further on is Porlock Wier, a small fishing village with a few pubs, cafes and restaurants. It has a very large pebble beach, and by large I mean the pebbles; they are of similar structure to those on Chesil Beach in Dorset. From Porlock we proceeded towards Lynton and Lynnmouth, but we didn’t take the normal route along the A39, we took the toll road that took you up through the wooded escarpment to the top of the cliffs coming out at the top to a spectacular view across the Bristol Channel, effectively seeing the south coast of Wales. As we proceeded west the A39 took us across the north of the moors, the roads were fantastic, ideal for a motorbike. (At this point wishing I had mine with me). Now, if it had been raining heavily further up, I could see this being spectacular, but not this time. 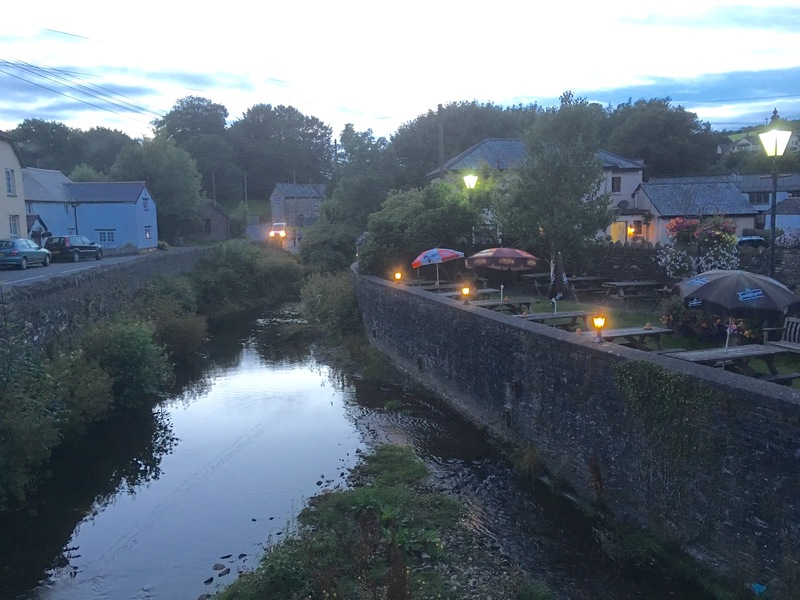 On a sunny day, it is nice, there is a cafe and you can dip your toes in the river, there may even be the odd trout to tickle..
From Tiverton we hit the motorway and pulled off at Wellington and stopped at the Worlds End for lunch with friends we meet on holiday. Overall a very good weekend and it’s probably something we would do again. So that’s what you do on your 29th wedding anniversary.